Mine Workers (UMWA) President Cecil Roberts says that Massey Energy Co.’s continued inaction on safety violations at its Upper Big Branch Mine, where 29 West Virginia coal miners died in an April 5 explosion, should send Massey CEO Donald Blankenship to jail. U.S. Marshals should go to where he lives, get him, handcuff him, put him in chains, take him to jail, set his fine at $40 million. They brought the men outside, they brought them to a safe place. But as soon as they left the same thing happened again and again. They didn’t correct the violations. In 2009, MSHA proposed nearly $1 million in fines for more than 450 safety violations at the nonunion mine. Just last month, MSHA cited the mine for 57 safety violations that included repeatedly failing to develop and follow the ventilation plan. Ventilation is vital to prevent the build-up of highly explosive methane gas, which is most likely the cause of the April blast. What does that mean? They were told to do something by the United States government. They said here’s a violation you are being cited for. I’ll be back in five days and this better be corrected. This inspector came back over and over again and they didn’t correct the violations. They are damn sure wrong. We need good laws, we need those laws to be obeyed and we need those laws to be enforced and those who fail to obey those laws should be punished. There is something wrong with this picture. When young men go off to war, they write these kinds of letters, saying how much we love our mothers, our fathers, our wives and our kids. But in America, you’re not supposed to write that letter when you’re going off to work. Every miner who goes to work each day must be able to return home safely to their families at the end of their shift. And Congress has an obligation to ensure that remains the case. Meanwhile, Art Levine at the Huffington Post explores coal field union-busting campaigns, especially Massey’s attacks on workers, and the relation between nonunion mines and disasters like the one at Upper Big Branch. With the union weakened by closed mines and the rise of untrammeled union-busting, unsafe, deadly conditions were allowed to continue unchallenged at the growing percentage of non-union mines that put profits above safety. And he notes that the fatalities involving union miners generally involve individual accidents, not mine-wide disasters like fires and explosions that periodically shock the country and, it seems, are soon forgotten by the federal government’s generally lackluster regulators. He began flying in every week in his helicopter. He gave pep talks. He took a whole bunch of [Upper Big Branch miners and their families] on trips to Dollywood, where they went to concerts. He went with them and bonded with them. New cars started turning up in their driveways. 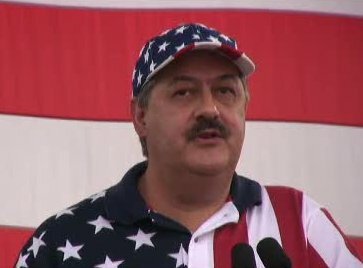 He also said as soon as the union was gone, Blankenship shifted gears. Work hours increased from eight hours to 12 hours. Bonuses were cut. If miners got injured, their jobs were at risk. Damn Straight!!! Add BP execs to that list of scum.